Golfo Aranci passenger and car ferry ticket prices, timetables, ticket reservations and information for ferries sailing from Golfo Aranci to Livorno. Compare all available Golfo Aranci ferry ticket prices in real time and book the cheapest available Golfo Aranci car and passenger ferry tickets sailing to and from Golfo Aranci, Livorno with Corsica Ferry Lines ferries online with instant confirmation. Book Golfo Aranci Ferry Tickets with Corsica Ferry Lines for ferries sailing from Golfo Aranci to Livorno online in advance to enjoy the cheapest available ferry ticket price. The price you see is the price you pay. There are no hidden extras or surprises such as added fuel surcharges or booking fees and we do not charge you anything extra for paying with a Visa Electron card. The price we quote you for your selected Golfo Aranci passenger or car ferry ticket, onboard accommodation and vehicle type is all you will pay, and that's a promise. To obtain a Golfo Aranci ferry ticket price and book your ferry ticket securely online please use the real time ferry booking form on the left. You are also able to add a hotel at your destination, or anywhere else, to your ferry ticket when completing your ferry ticket reservation. Golfo Aranci, situated on the Northeast coast of Sardinia, is not only an important port with daily connections with main land Italy, but also a great holiday destination that offers beautiful beaches and tourist facilities at hand. Besides the fantastic beaches in the gulf itself, there are many enchanting stretches of fine white sand in the surrounding area such as Cala Moresca, Cala Greca, Cala Sabina and White Beach, which can be reached by driving a few kilometres along the panoramic road to Olbia. The town has a large selection of restaurants and bars, nice shops and luxury hotels with swimming pool, tennis courts and all modern comforts. There is a variety of water sports available, including diving with qualified instructors. For those who wish to take a peak at the nightlife of the rich and famous, the exclusive clubs of Porto Cervo and Porto Rotondo are only a few kilometres away. Golfo Aranci is an enchanting sight, lovely summer resort on the north end of the Olbia Gulf. Protected by Cape Figari on the east, untamed land covered in thick maquis, holm-oaks, and juniper woods, and the island of Figarolo just off the coast that create a beautiful scenario of a perfect place for relaxing holidays. Golfo Aranci will surprise with its 24 beaches within easy reach from the town centre, although the most famous is Cala Moresca, reachable on foot through a short country path, the best sandy beaches lie south of town, Baia Caddinas and its picturesque harbour and Spiaggia Bianca (White beach) its name is an anticipation of a golden sand beach in a pretty bay with a fine outlook over the tail of the Gulf. Golfo Aranci (Oranges' Bay)- strange name for a place where the orange trees are not the main attraction! The legend says that a cargo full of oranges sunk just off the coast and since then the town and its bay has been known by that name.But most probably its name derived from ranci, word for "crabs" in the local dialect, that once abounds in the bay. Golfo Aranci was fishing and trade port in Roman times serving the trade of cheese, milk and other goods from the area of San Pantaleo (inland) and the capital Rome. When Edward Charles (18th century English traveller) visited the town in 1889 he found only a group of old houses (stazzi), it was only later when fishermen from Ponza, an island in Campania region, decided to move and reside here, transforming the place into a very well organized fishing-town and a beautiful tourist resort. In 1961 Golfo Aranci became one of the main port of the area connecting the north-east of Sardinia with the mainland. Best Price Guarantee - We always offer you our lowest available Corsica Ferry Lines passenger and car ferries ticket price to and from Golfo Aranci. There are no hidden extras or surprises such as added fuel surcharges or booking fees and we also we do not charge you anything extra for paying with a Visa Electron card. The price we quote for your selected Golfo Aranci ferry ticket, onboard accommodation and vehicle type is all you will pay, and that's a promise! In the unlikely event you find the same all inclusive Golfo Aranci ferry ticket cheaper in the brochure of any other tour operator we promise that we will do our best to beat that price or offer you the choice of requesting a refund. 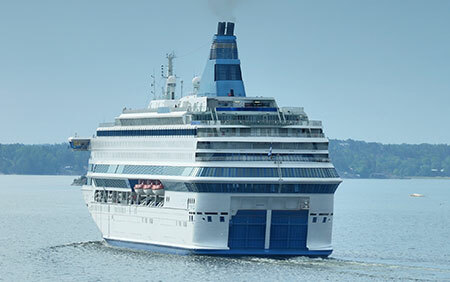 To book Golfo Aranci car and passenger ferry tickets please click here. At ferryto.co.uk you are able to obtain live Golfo Aranci ferry ticket prices, check availability and book car and passenger ferry tickets to and from Golfo Aranci at our lowest available ticket price. Ferryto.co.uk is part of the world's largest online ferry ticket distribution network providing the ability to book over 80 major European ferry operators including to Golfo Aranci and to over 1,200 other ferry routes throughout the UK, France, Spain, Ireland, Holland, Eastern Europe, the Mediterranean, the Baltic and North Africa.